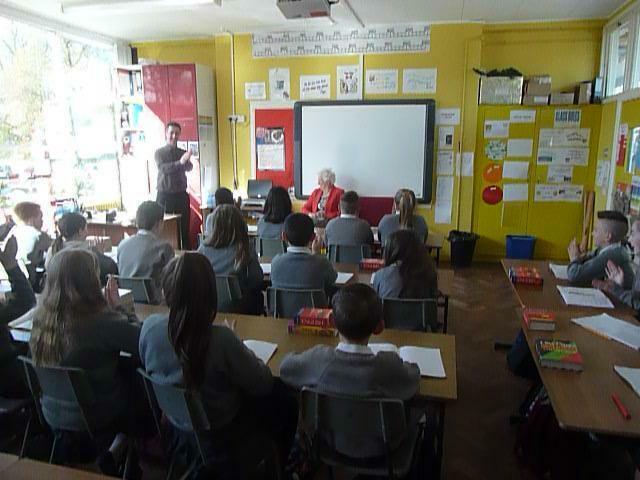 On Monday 20th April, the Primary sevens enjoyed a question and answer session with Dame Mary Peters. 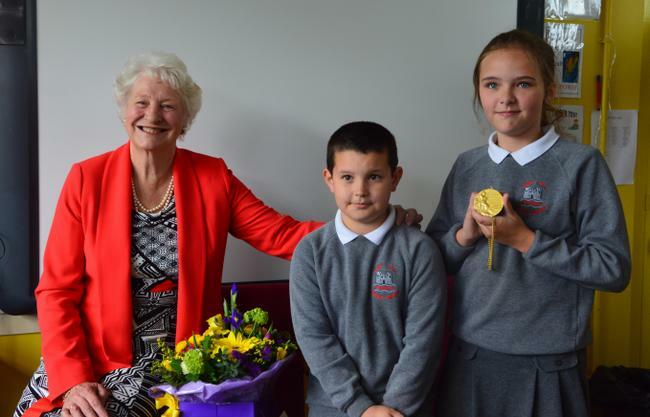 As part of the school’s 50th anniversary celebrations in the weeks leading up to the visit, the class had researched her sporting achievements with particular reference to the Munich Olympics in 1972 and her subsequent tireless work for various charitable organisations throughout the UK. 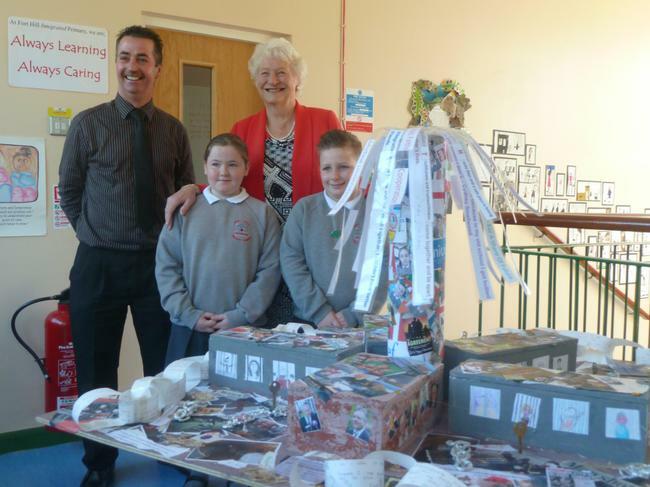 The children drew inspiration from her answers and were given good advice as to future choices in life. 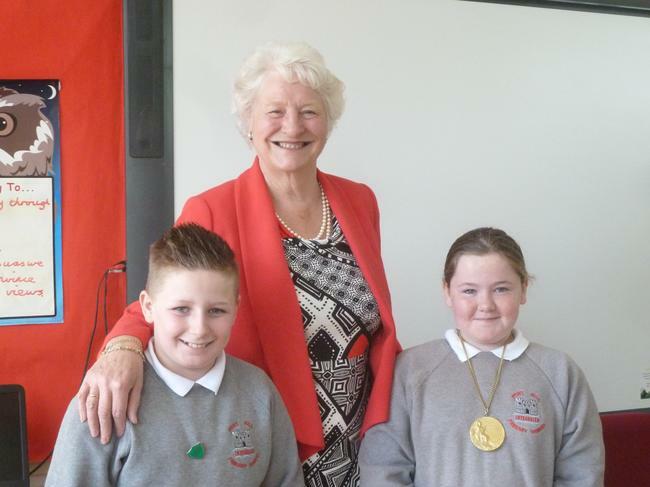 At the conclusion of the interview Dame Mary took time to chat to each child and sign autographs. 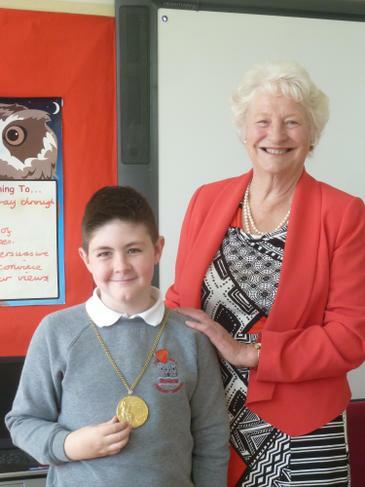 Staff and pupils are indebted to Dame Mary for taking time out of her busy schedule to visit.